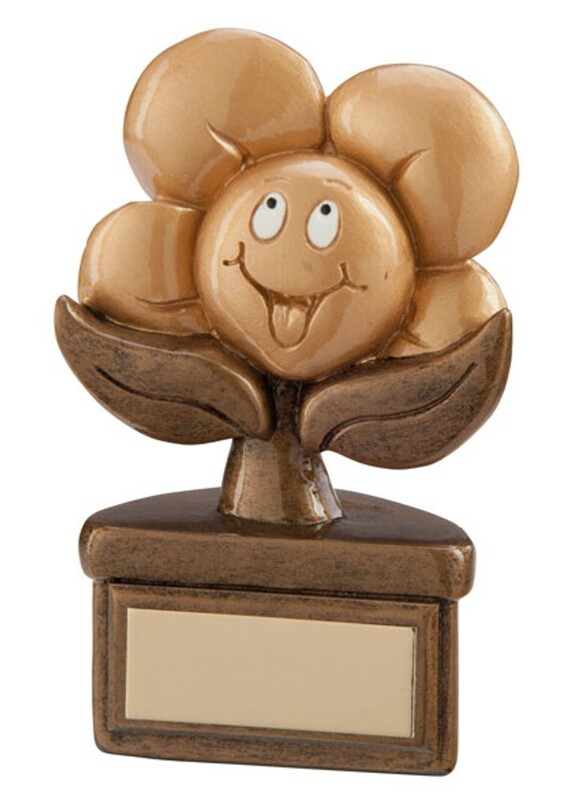 Resin Playful Flower Achievement Award. This great little award measures 100mm high, antique gold with gold highlight. A great reward for any achievement or young gardener!